Gaige, Di Felice, Renette and Zavatarelli, and La Grande Storia degli Scacchi give the same crosstable. 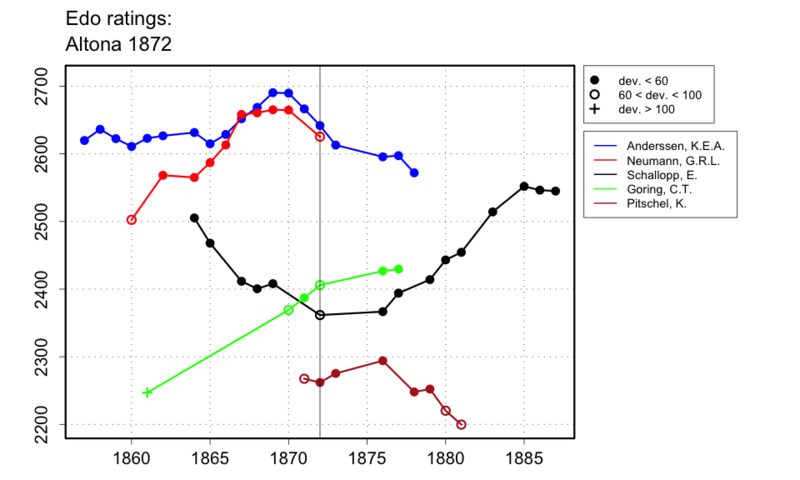 Feenstra Kuiper in Hundert Jahre Schachturniere gives total scores consistent with this crosstable, but in Hundert Jahre Schachzweikämpfe, he 'corrects' the scores to Anderssen 4, Neumann 4, Göring 2. Di Felice, Staunton and Renette and Zavatarelli give end date 28 July 1872; La Grande Storia degli Scacchi gives end date 27 July 1872.